On June 19, 2018, the US Ambassador to the United Nations, Nikki Haley, announced the US would be withdrawing from the United Nations Human Rights Council. While the Trump administration has been speaking of leaving the Human Rights Council for some time now, the plug was finally pulled last month. The UN Human Rights Council (HRC) can be a challenging entity to understand, considering, that it has representatives from governments sometimes involved in human rights abuses. On their joint announcement, Nikki Haley and Secretary of State Mike Pompeo claimed that the council was a “protector of human rights abusers and a cesspool of political bias.” An organization called Freedom House collects data on governments and the socio-political climate in different countries around the world and ranks them based on how free they are. Within the HRC, Freedom House found that there are 21 free states, 12 partly-free states, and 14 non-free states. Typically, the free nations on the council tend to outnumber the non-free actors; the free states can easily pass or block any resolution with the cooperation of just a few of the other free or partly-free countries on the council if they vote together. With the US gone, the council now could fall susceptible to more resolutions being passed in favor of the non-free governments, such as authoritarian regimes. Many organizations have already made their positions clear regarding the separation from the council, including the council itself. The council tweeted a statement from UN Human Rights Chief Zeid Raad Al Hussein following the decision to leave the council stating “disappointing, if not really surprising, news. Given the state of #HumanRights in today’s world, the US should be stepping up, not stepping back.” The United States for decades has been seen as a world leader on the political stage. While the current Administration has every right to feel as if the HRC doesn’t benefit us, the current Administration should be thinking about the implications that leaving a body protecting human rights has on US politics as it is seen from a global audience. In the Sustainable Development Goals set out by the UN to be reached by the year 2030, education is included as a fundamental human right. Currently, with strong bi-partisan support from Congress, the United States is one of the top donors contributing towards critical multilateral partnerships such as Education Cannot Wait and the Global Partnership for Education. Organizations such as GCE-US have been working hard to advocate for an increase of those funds to further promote education as a human right. To protect and advocate for human rights far beyond the scope of education, we must be willing to stand up for human rights in all capacities. Standing up for human rights means making change within organizations which we believe there is a capacity to do so. If we abandon the fight for human rights what does that say about us? While leaving the council has been talked about as if it was a move in a game of chess, it sends more messages than one. Leaving the UN Human Rights Council sends a message that we would instead choose to leave an organization that is seemingly unfair rather than to jump in and start making some of these changes with our own voices. Additionally, it is worth it to state that a body such as the HRC cannot be responsible for ending all human rights abuses everywhere merely because it contains the words “human rights” in its title. It is important to note that the Human Rights Council is not a perfect body of diplomacy. However, it has been able to help prevent further atrocities from occurring in the past. Steven Feldstein from World Politics Review writes that during his experience in the US Department of State, the UNHRC was able to focus on an incident in Burundi. The HRC was able to work quickly to create a special panel to investigate crimes in Burundi, although, “while violence persists in Burundi today,” Feldstein still believes “that such timely international attention prevented far worse brutalities from occurring at the time.” Read more about Feldstein's opinion here. In conclusion, the United States has the opportunity to be a real leader within the UN, to step forward or directly remain on the council to keep the balance between the free versus non-free states on the council. To protect human rights for all global citizens (including the right to quality education), it is critical now more than ever to uphold the dignity of the institutions we take membership in as opposed to abandon them outright. 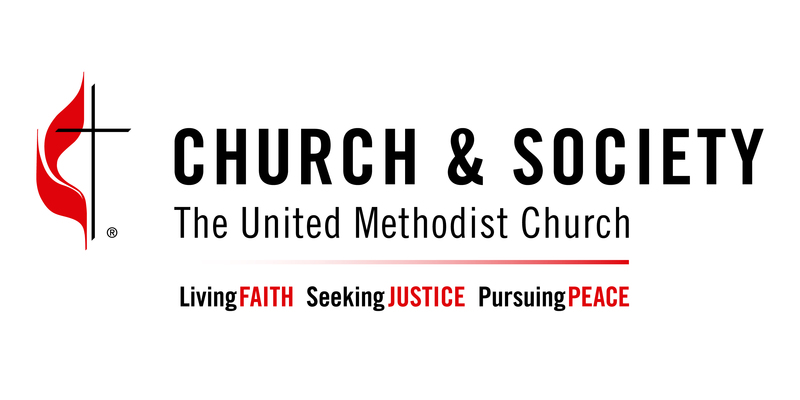 The General Board of Church and Society (GBCS) is one of four international general program boards of The United Methodist Church. The General Board is defined by its five areas of ministry: (1) Public Witness and Advocacy (2) Administration (3) Ministry of Resourcing Congregational Life, (4)United Nations Ministry, (5) Communications.